Here’s how it works: Before City home games, we’ll review the best, worst and current home shirts of the away team, but before away games, we’ll critique the home side’s away shirts. Got that? Ok then. 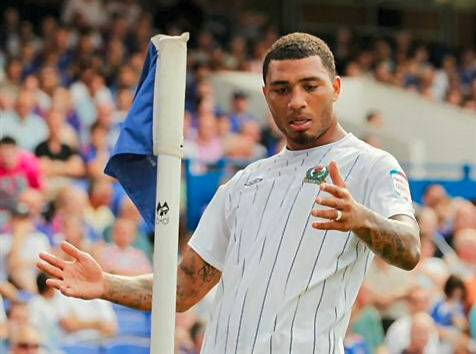 The Tigers make their first road trip of the 2012/13 league campaign on Wednesday, visiting Ewood Park, but the Blackburn shirts we’re taking a look at will never have seen match action there. Rovers have flirted with orange and silver, all navy blue and black and silver away kits in recent years, but have mostly worn either red and black or yellow (with blue or black) when a change from their familiar blue and white halves was required. 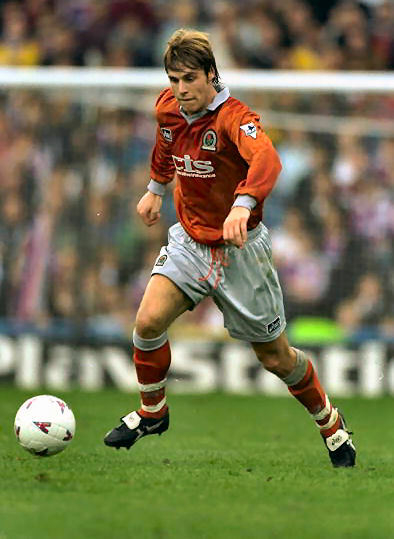 Red and black is by far the stronger look, especially when worn as stripes, which the Lancashire lot have worn most recently in 2000/01, but the shirt of that Kappa kit was sullied by the green patch of sponsors Time Computers. Better was the away kit from 1994/95, when Blackburn won the Premier League. 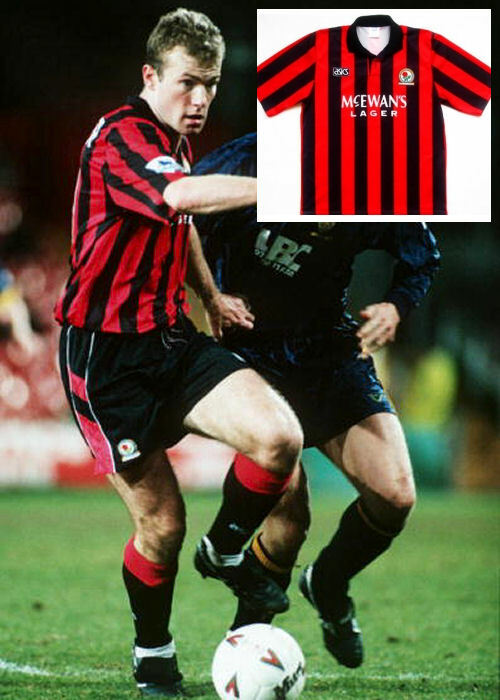 That kit consisted of a largely black shirt with thin red stripes, red shorts and black socks. Better yet though was another outfit made by Japanese firm Asics, the 1992/93 and 1993/94 away kit. The positively Milan-esque shirt was simple and elegant, with a black turnover collar. 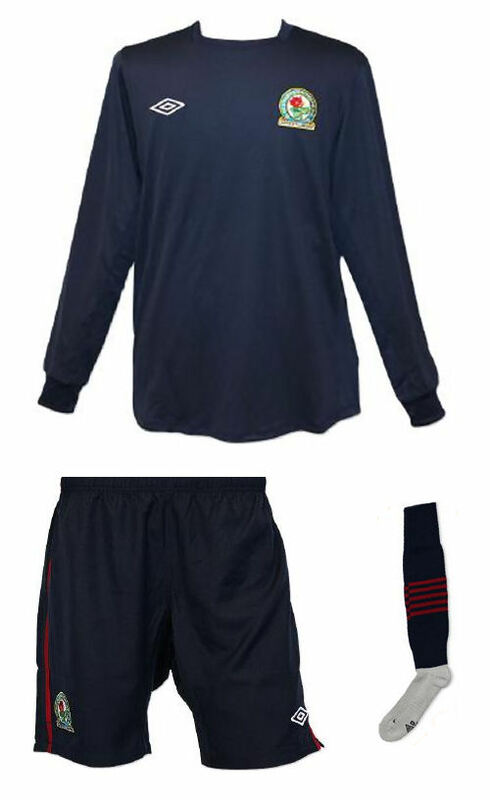 The black with red trim shorts and socks were of the same design as those that completed the home kit. Yellow and black became protest colours last season as Rovers fans sought to vent their dismay at the direction the club was taking under the ownership of Indian poultry firm Venky’s, so the club are unlikely to play in that style of away kit soon. 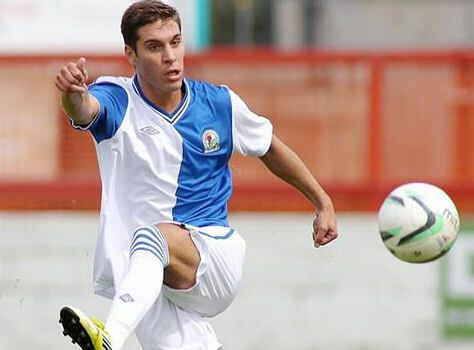 This year Blackburn have gone with navy blue, but they’d be on to a winner if they reintroduced red and black stripes. Honourable mention: When you’re home kit is blue and white halves, a navy kit with a blue and a white stripe on the shirt doesn’t quite provide maximum contrast, but nonetheless Umbro’s 2007/08 Blackburn away kit was quite lovely, even on ‘Crabman’ Keef Andrews. Asics produced some lovely, simple kits for Blackburn during their six year tenure, but they blotted their copybook in 1996/97 with a brash and lurid bright yellow design. Perhaps red and black had fallen out of vogue after being associated with the infamous scrap between team-mates David Batty and Graeme Le Saux in a Champions League tie at Spartak Moscow. 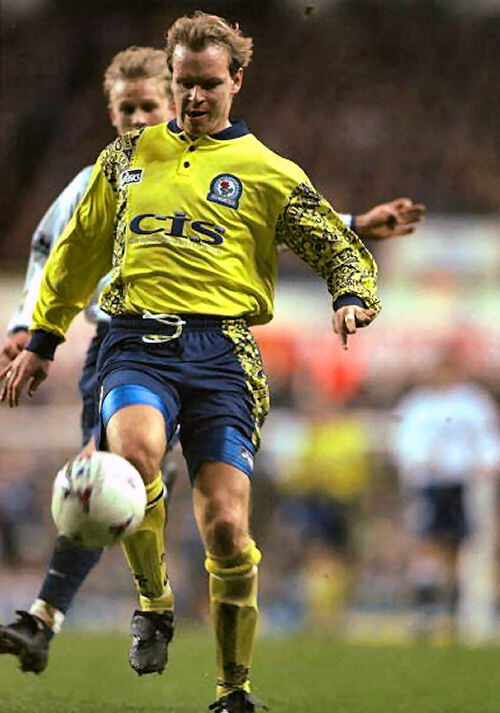 The left sleeve and right hand side of the shirt featured an abstract pattern of Rovers’ crests in navy, but from distance it appeared as if an avifaunal bramble binge had left it spattered with bird poo. The same pattern adorned the left side of the likewise asymmetrically designed navy shorts, and yellow socks completed the ‘look’. Nasty, though Asics did redeem themselves with a non-traditional but stylish orange and silver affair a year later. An odd colourway yes, but it somehow worked. Dishonourable mention: Lonsdale’s black for blacks’ sake 2005/06 effort, with unflattering silver neck panel and 2 x manufacturer’s logo as they doubled up as main sponsor. Blee. Umbro’s 2012/13 home shirt adhere’s to their successful ‘tailored for football’ principles, and since it isn’t blighted by a sponsor’s logo, it’s another classic from the Cheadle firm. The all navy away kit is, though, a little dull in comparison, it needs a little something more, the funky socks (which feature the same thin, bunched together stripes as used on Manchester City and Nottingham Forest’s home kits last season) aren’t enough. Hell, even a sponsor patch would liven it up, but we’re not fans of diluting club branding with corporate logos here at HCK (two words…Cash Converters) so an additional design element would be preferable. Those stripes on the sleeves maybe. Another tone of blue really isn’t the best idea for Blackburn, but maybe they want to offset the lack of shirt sponsor revenue with sales of a third kit, which a blue away kit pretty much necessitates. The white with pinstripes 3rd strip is rather nice though, much better than the first choice change kit, and was used at Ipswich on Saturday in the 1-1 draw. Some people don’t agree with our stance on shirt sponsorship, which is fair enough, but you have to agree, sponsor organised crud like this is quite undignified. As a Rovers fan, I generally agree with you comments, suprisingly, the red & black halved kit, about 4 seasons ago, is generally regarded as our best away kit. This season away efforts are woeful, absolutely no thought gone into the colour selection for the away or 3rd kit ( why we need a 3rd is beyond me ) and without a sponsor logo, they look like bog standard training kit. You guys have got the best one spot on, I think. Funny thing is that the Red & Black is ace but the follow up with the wider black striped and thinner red ones is horrible. Worst is probably right too but I’ll throw in this utter monstrosity from 1997/98. http://www.vintagefootballshirts.com/avactis-images/bla97as_s.jpg Hard to find a good pic but it was disgusting. No idea what you’d call the colour, it’s somewhere between salmon pink and light orange? And it had silver collar and silver shorts. Rank. Blackburn home kits will be a tough one because it’s one of my favourite designs and, ugly sponsors apart, it’s impossible to go wrong with it. I’d got 1991/92 as my favourite. I preferred the lighter blue. Obviously 1994/95 is iconic and probably wins for that reason. As a Blackburn fan I thought that this is a very interesting read. Another Rovers supporter here! Definitely a good read! I still like the orange/silver kit! I can’t help it! 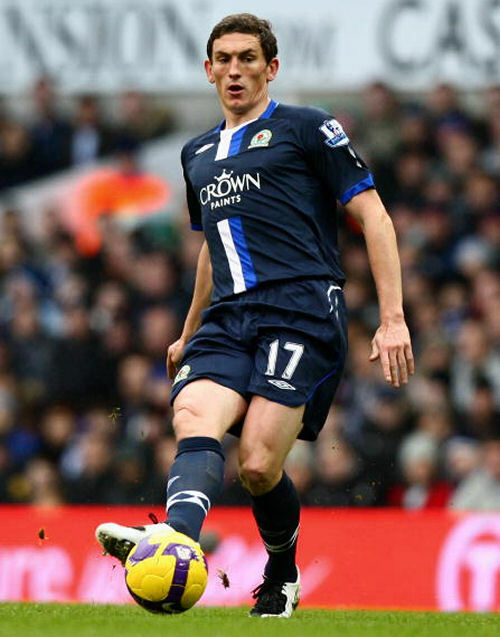 My favorite Rovers kit, though, has to be the 10/11 kit by Umbro – http://www.epltalk.com/media/2010/06/blackburn-rovers-home-jersey-2010-2011.jpg – It’s my only kit with a name/number on it, and I hardly wear it because I don’t want to ruin it!! It’s very simple, but done with elegance. I also like my first Rovers kit, from 02/03, which gets worn more than any of my kits, as I love playing in it. It performs really well in any condition, and the sponsor print eventually came clean off, making it look timeless and much nicer!! I wish they made more kits like it, very comfy. Oh yeah, and as for away kits, the 02/03 was pretty sharp, we should stick with red/black on them, it works the best. Kappa was a great kit maker for us, followed shortly by Umbro. That 2010/11 shirt is nice, though I prefer your current offering as I like unsponsored shirts, where the brand that matters is the club’s. We’ll do a best/worst/current look at your home kits before the return match in February. Blackburn fan. Still own/wear our milan-esque away shirt & agree with your conclusion. Black away kit was also worn by Lonsdale-sponsored rapper “The Game” on tour apparently. 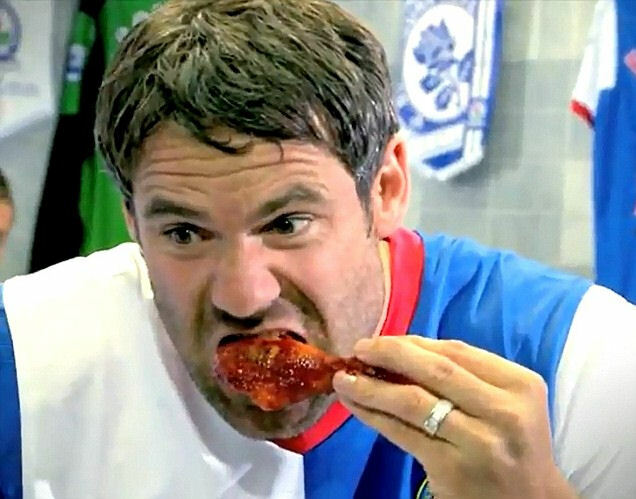 He never made it to Ewood though.